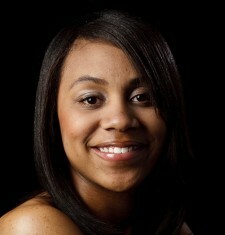 Tenesia Benson danced with Moving in the Spirit for seven years, beginning in our Junior Company program. She worked diligently to become a member of our advanced performance group, the Apprentice Corporation, where her kindness and warmth earned her great admiration from her peers. At Moving the Spirit, Tenesia collaborated with professional choreographers to create her own work, which she presented in Atlanta and on our international tour to Panama. She graduated from the University of Georgia with a degree in education and dance. She is now a fourth grade Language Arts teacher in Stone Mountain and has launched her own dance after-school program at her school. Are you alumni looking to reconnect? Are you interested in joining our board? There are many ways to get involved with us. We'd love to have you!